NEW HAVEN, Conn. Yale University announced a $250 million gift from a 1954 graduate Monday, saying it's the largest in its history and will help pay for the Ivy League school's largest expansion in decades, including an increase in enrollment. Yale President Peter Salovey announced the gift commitment from Charles B. Johnson, who retired last year as chairman of the board of Franklin Resources, parent company of Franklin Templeton Investments. Salovey said the gift brings Yale within $80 million of the $500 million needed to build two new residential colleges. "This is an extraordinary commitment from one of Yale's most loyal alumni," Salovey said. "It builds on Charlie's long history of generosity to Yale. 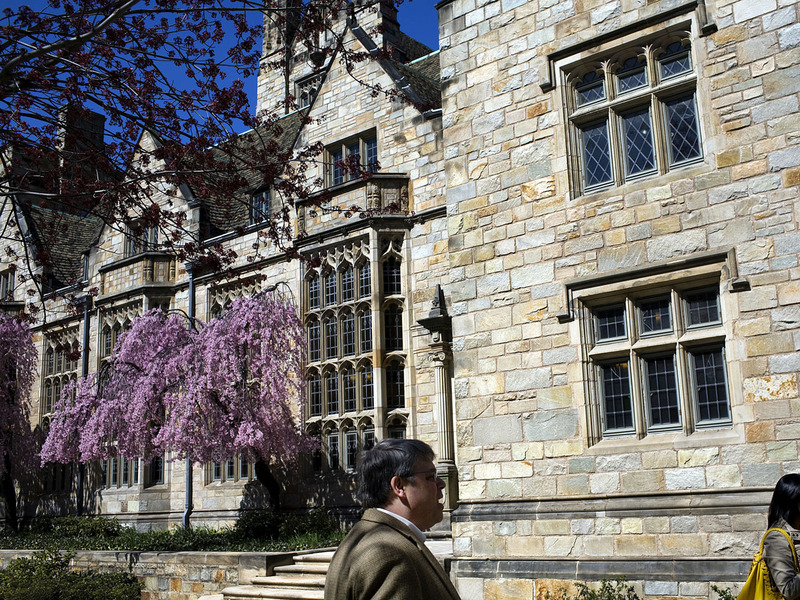 This latest gift, in support of the expansion of Yale College, is truly magnificent, and I am deeply grateful." The two new colleges are the largest expansion at the exclusive New Haven university since it began admitting women in 1969 and will allow the school to admit about 15 percent more students each year. Yale admits only a small fraction of applicants; the 1,360 members of the class of 2017 were chosen from a record applicant pool of 29,610. The expansion will bring total undergraduate enrollment to more than 6,000, up from about 5,300. Johnson has previously contributed to the school's collection of the papers of Benjamin Franklin and made a gift to establish the Johnson Center for the Study of American Diplomacy, which holds the papers of Henry Kissinger. He has also supported renovations of the Yale Bowl, the school's football stadium, and the creation of Yale's first all-season outdoor athletics field. Construction of the new colleges will be funded through donor support and will begin when all funding is secured, Yale said. "I hope my commitment will inspire other alumni, parents, and friends to complete the funding for the construction of these colleges," Johnson said. Johnson is also part owner of the San Francisco Giants. As a Yale undergraduate, Johnson was a member of the football and rugby teams, the Yale Political Union, and ROTC.